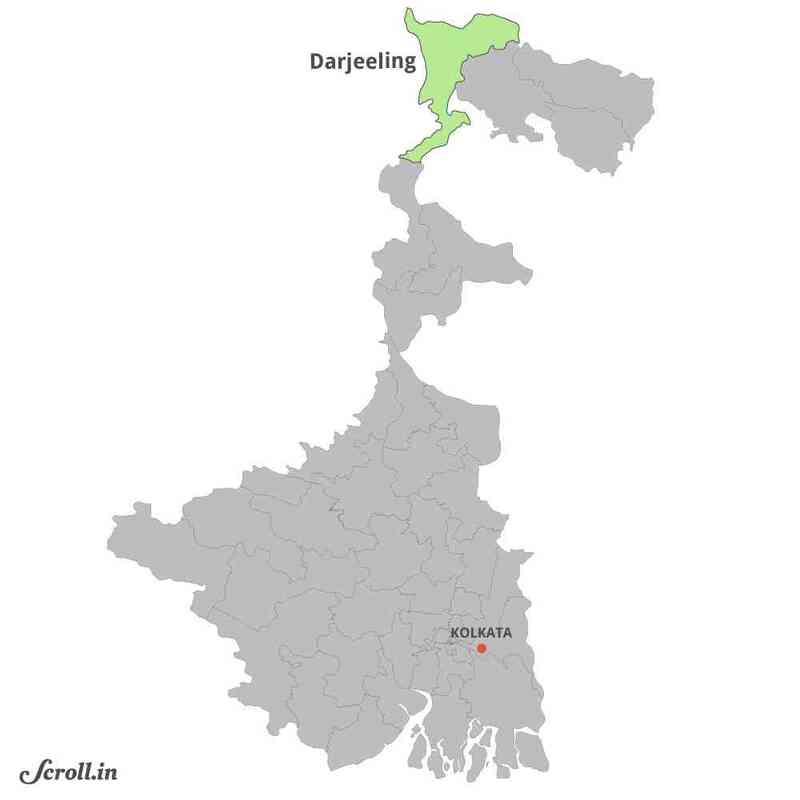 The residents of the Darjeeling Hills, who vote on April 18 in the first election since the 2017 statehood agitation, are deeply disillusioned with politics. At Pussimbing tea estate in the Darjeeling Hills, any talk of the Lok Sabha election is unwelcome. “Sorry, please don’t ask us anything about politics,” said a man in his twenties. The immediate provocation for the disquiet was the arrest of JB Tamang, the working president of the Himalayan Plantation Workers’ Union, who lives in this tea estate. He was arrested on March 22 in a case related to a protest of tea garden workers in August. He was released on bail a week later. The arrest had come days after the Gorkha National Liberation Front, a regional political party to which the union was affiliated, broke its alliance with the Mamata Banerjee-led Trinamool Congress, which is ruling West Bengal. The Front went on to join hands with its rival, the Bimal Gurung-led faction of the Gorkha Janmukti Morcha, and both parties declared support for Raju Bista, the Bharatiya Janata Party candidate for the Lok Sabha elections. Darjeeling heads to the ballot booth on April 18. Tamang, 56, had joined the Trinamool Congress in 2010 but left in July 2017 after the widespread backlash against the party’s supporters during the Gorkhaland agitation. 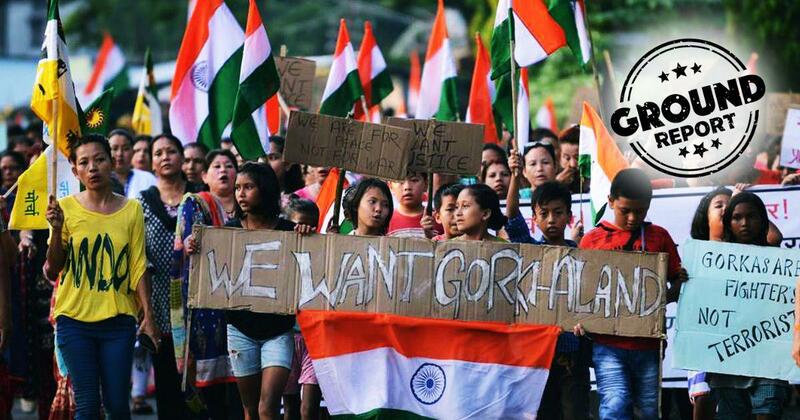 Starting June 11, the hills saw a record 104-day strike and shutdown in support of the demand for Gorkhaland, a separate state for Nepali-speaking Indians, also referred to as Gorkhas. “When JB daju [brother] was supporting the Trinamool Congress until less than two years, this same government had provided [him] with round the clock armed security,” said Tamang’s neighbour, a man in his fifties. Neither of them wanted to be identified. As the residents of the Darjeeling Hills prepare to vote in the first election since the 104-day strike, there is deep disillusionment with politics. The after-effects of the strike are still being felt, in the form of arrests, detentions and unpaid tea garden wages. But none of the major parties are talking about Gorkhaland, the cause that had galvanised the people of the hills. This story has been reported from Darjeeling Lok Sabha constituency. In the last two general elections, the BJP had tried to create a perception that it supported the demand for Gorkhaland. In 2014, prime ministerial candidate Narendra Modi famously remarked, “Gorkha ka sapna, mera sapna.” The dreams of Gorkhas are my dreams. This was perceived as his commitment to the cause. 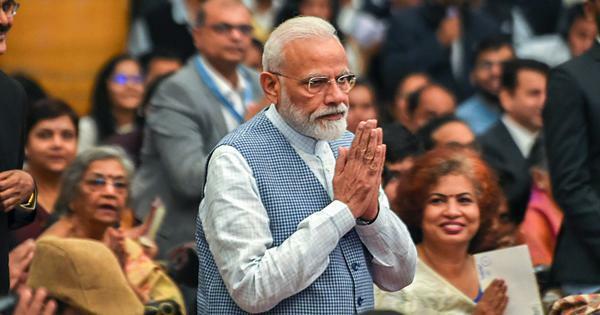 But this time, addressing a rally in Siliguri on April 3, Modi entirely avoided talking about the Gorkhas, other than allaying the community’s fears of the National Register of Citizens. 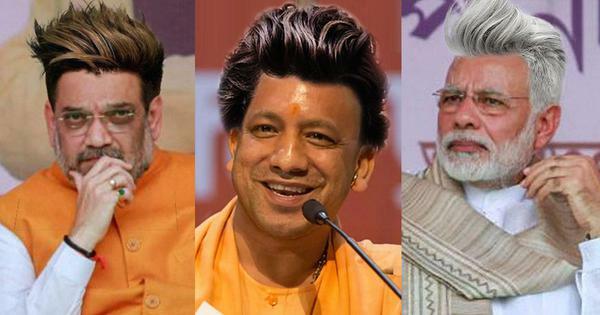 In its election manifesto, the BJP has said it would implement the controversial exercise of validating citizenship claims, currently limited to Assam, across India. The party manifesto has promised a “permanent political solution to the issue of Darjeeling Hills, Siliguri Terai and Dooars region” without mentioning Gorkhaland. Despite its silence on Gorkhaland, the BJP enjoys the support of not one, but two, Gorkha parties – the Gurung-led faction of the Gorkha Janmukti Morcha and the Shubhas Ghisingh-founded Gorkha National Liberation Front. Not just that, in the name of “Gorkha unity”, the Communist Party of Revolutionary Marxists, which was formed in 1996 after breaking away from the Communist Party of India (Marxist) on the demand for a separate state, has declared its support to the BJP. So have some members of the National Gorkhaland Committee, an apolitical body of Army veterans and intellectuals that was formed in 2017 as a pressure group to raise the demand for Gorkhaland. Why are most Gorkha parties and organisations supporting the BJP even though it is not backing their demand for a separate state? One of the reasons cited is alleged state repression. Ever since the 2017 strike, political workers, independent activists and even ordinary citizens have alleged that there has been a reign of terror in the hills by the Trinamool-backed hill administration. Any view critical of the ruling combine, or, more importantly, sympathetic to the Opposition, especially the Gurung-led faction of the Morcha invites government scrutiny, they said. When she goes to any demonstrations, said the woman, she makes sure to lie low and return early, taking the chor batos or shortcuts in the hills and avoiding any kind of attention. Khawas is a supporter of the Gorkhaland demand and a vocal critic of the Binay Tamang-led faction of the Gorkha Janmukti Morcha and the Trinamool Congress. 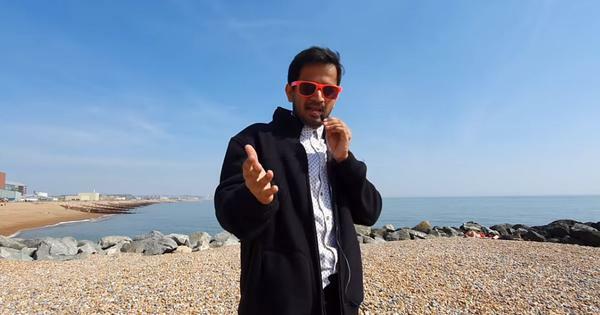 “They would have arrested me long ago if I were in West Bengal,” he said. Gurung has been underground ever since the 2017 agitation for the fear of being arrested – he has been implicated in more than 30 criminal cases, including those registered under the draconian Unlawful Activities (Prevention) Act. One of the leaders of the Gorkha National Liberation Front, Neeraj Zimba, said the bigger concern in this election was the “restoration of democracy”, not statehood. Binu Sundas, a sociology professor who represents the Gurung-led Morcha, said an atmosphere of fear had been created in the hills through arrests, threats and intimidation. 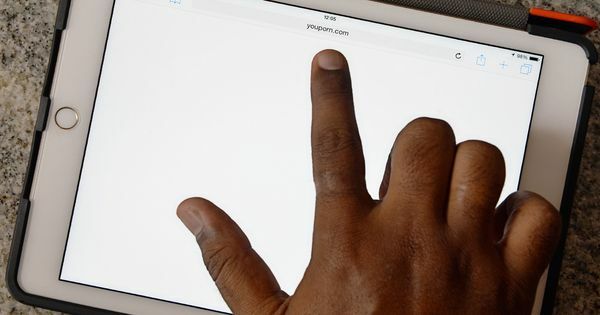 “Forget our leaders and people with political connections, even the general public who show support for us are being targeted,” Sundas said. Binay Tamang used to be a close aide of Gurung’s. In 2017, he was among the leaders spearheading the strike on behalf of Gurung, till he surprised everyone by calling it off and becoming an ally of the Trinamool Congress. The alliance is currently ruling the Gorkhaland Territorial Administration, with Binay Tamang as the head. This election, the two factions of the Gorkha Janmukti Morcha are pitted against each other. Morcha BT, as the Binay Tamang faction is called, is with the Trinamool Congress, while Morcha BG or the Bimal Gurung faction is with the BJP. 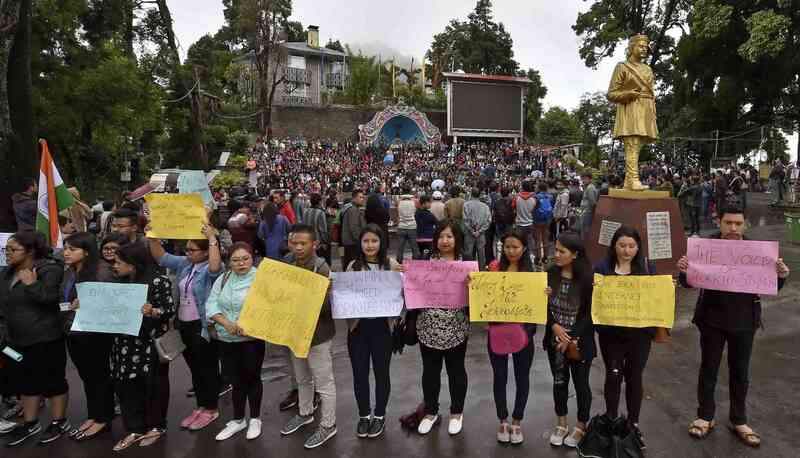 The Morcha split in November 2017 over Gurung’s insistence on continuing the shutdown in the Darjeeling Hills. Both Gurung and Binay Tamang claim they head the original Morcha and have expelled each other from the party. The BJP candidate Raju Bista is seeking votes in the name of “Gorkha pride”, while the Trinamool candidate Amar Singh Rai is campaigning on the plank of development. Many believe the BJP, which won the seat in 2009 and 2014, holds the advantage since Gurung’s support base has swollen significantly in the aftermath of the 2017 agitation. His popularity had plummeted initially when his leadership was seen as weak but his graph suddenly soared after Binay Tamang called off the strike, sided with the Trinamool Congress and took over the reins of the hill administration. Binay Tamang was seen as a betrayer. 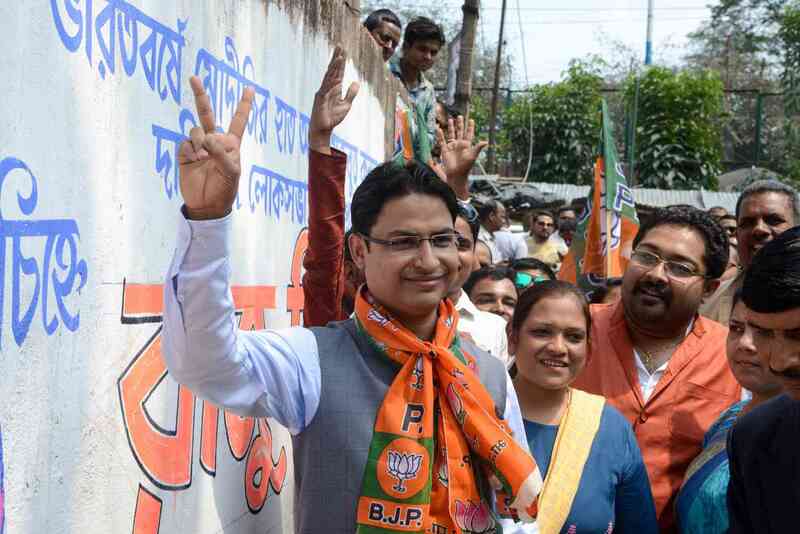 Raju Bista, the BJP candidate from Darjeeling, West Bengal, takes part in an election campaign in Siliguri, on March 28, 2019. (Photo credit: AFP). Among ordinary people, there is disillusionment with all political parties. The tea workers are still reeling from the effects of the strike – all tea estates were shut in those days, Dooteriah has not opened since then. Upper Assam was the heart of the agitation against Citizenship Bill. 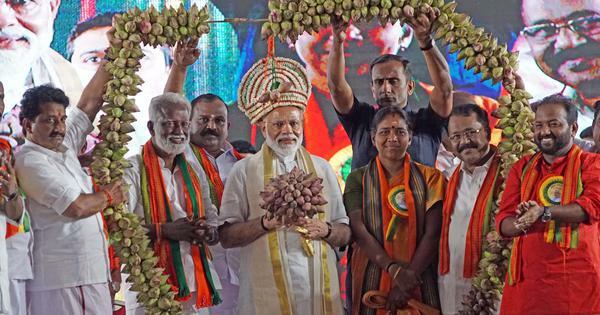 Has it made up with the BJP?